Welcome to another edition of TTT...where we always think outside the box! 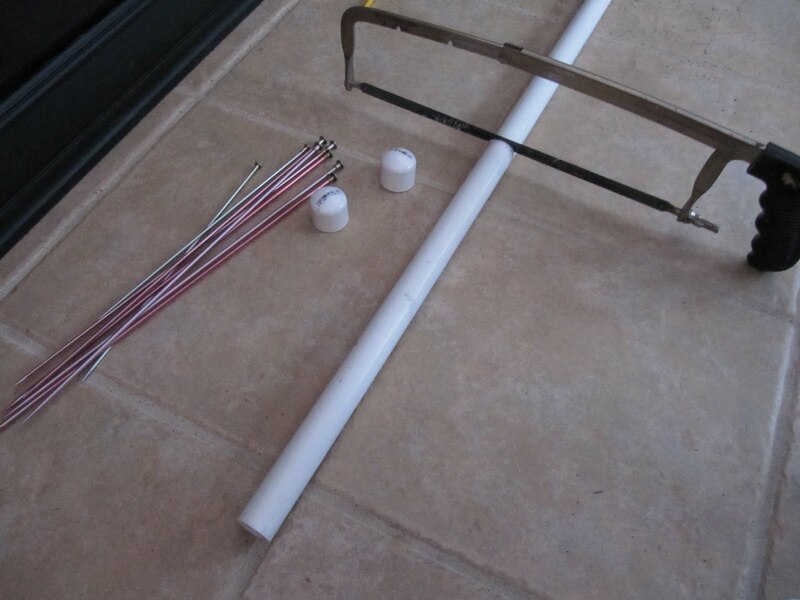 This week's idea comes from the hardware store again! Where else, right? I think I'm in the hardware store more than the fabric or craft store. 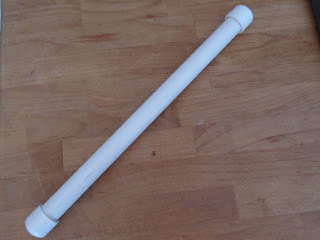 I've used PVC pipe in the past for several other projects...quilt design frames, games and dog gates. Today's idea came to me when my youngest daughter Kelsie started knitting over her Christmas break from college. She taught herself how to knit one night while we were both on our laptops together. I was on the computer writing a blog post and she was on her computer watching a YouTube instructional video on how to knit. She was knitting away by the end of the night. Once family knew she was knitting, the supplies started rolling in. 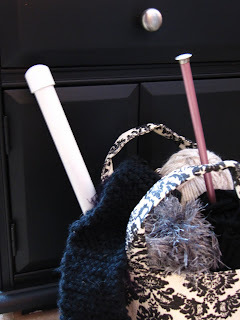 So where to store all the knitting needles?...PVC pipe of course! The picture below shows the pipe needle holder and the black scarf that she started. Isn't her scarf so cute...her first one. I used 3/4 inch pipe and 2 end caps. A 10 foot piece of pipe is $1.62 and end caps are only 32 cents each. 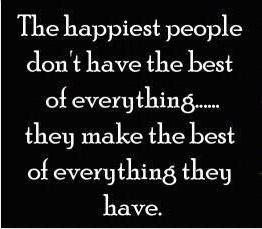 The pipe cuts easily with a saw, but you can always ask the men at the hardware store, they'll cut any thing for you. I cut my pipe about 18 inches long to fit the needles she has, so the pipe and the 2 end caps total about 98 cents! The end caps just go onto the ends very easily. 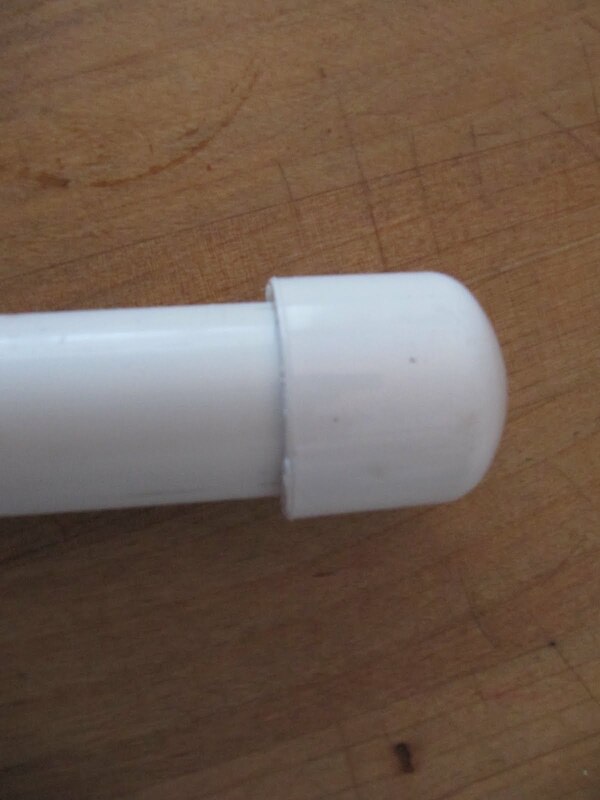 Just fill the pipe with your needles...maybe all one size in one tube and label the outside. Squeeze on the other cap and you're good to go...knitting that is! 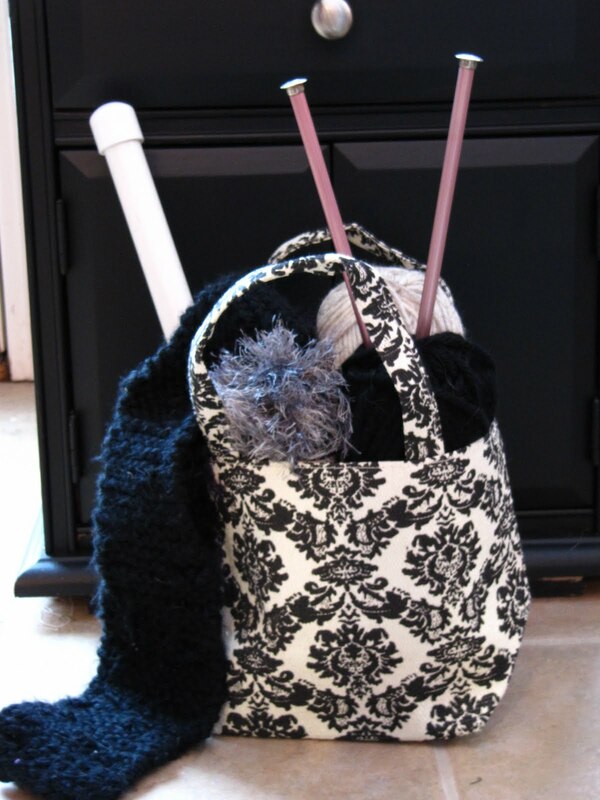 Stores easily in your knitting basket without any chance of getting poked. They do sell wider pipe if you want to store all your needles in one tube. 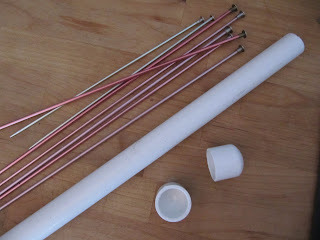 No matter what size pipe you use, this is a quick and easy project and cheap too. Now if we can convince the pvc company to manufacture the pipe in fashion colors. Wait...if we do that, they'll raise the price, especially if they knew we were using it for something fun. Maybe we can just spray paint it. What does PVC actually stand for...poly vinyl chloride. Boring! Well, for me it means...pretty valuable crafts! Click here for the other pvc projects. Great idea! mmm, maybe wrap the pipe with contact paper? anyway, thanks! Very cool idea! I'd probably pop a cotton ball or piece of foam by the bottom end cap to protect the needle points. Looks like I might be heading to the hardware store tomorrow! Great idea! VERY useful. I love Robin´s story! haha! Okay, I could have used this about 2 months ago. 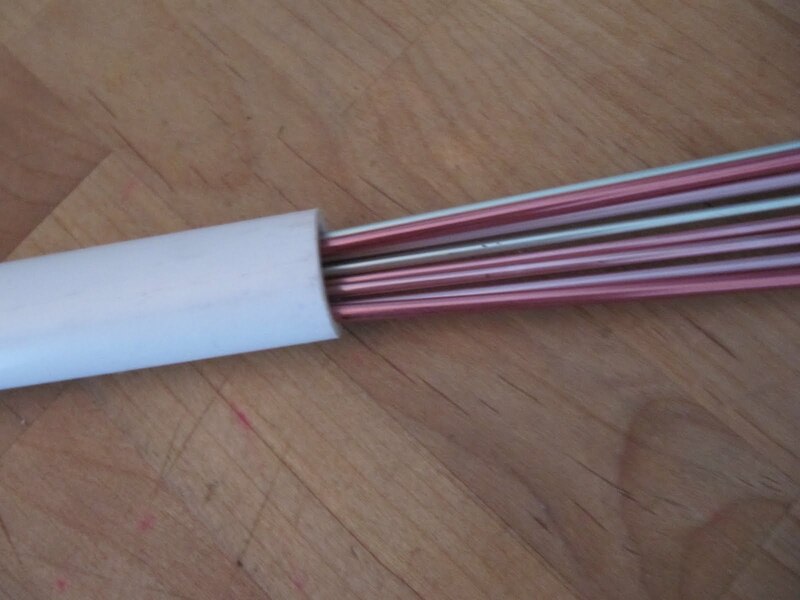 I bought a small "tube" style holder for my crochet hooks. This would have worked great for them too (not as long as the knitting needles). Thanks Karen for the great ideas. I can't wait to go to the hardware store! My daughter taught herself to knit via youtube as well. But while she was at school 5 1/2 hours away. I knit but she would "do it herself" I have one independent daughter. Great idea for the big sticks! I use a travel toothbrush holder for my sock dpns. Just have to be sure it isn't one with air holes at the ends. Always amazed at how many sets it holds. 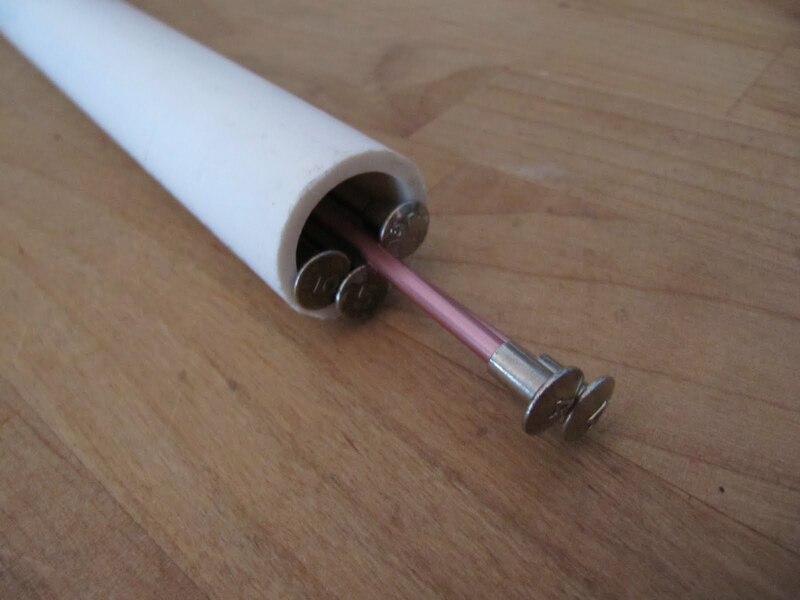 Take your project one step further and drill holes in the PVC pipe that correspond with the sizes of needles. TaDa a needle gauge! Really cute, I have stored my crochet hooks in an old cigar (tin) tube for years and it worked great. This is wonderful for the long needles. Cute - I don't knit, however, I do crochet! This is a great idea! Black PVC pipe might look more fashion forward, LOL! Great idea. Such a simple, effective solution! WHAT!?!!?! I thought you were the Mod Podge Queen! I would have covered it with fabric and slapped on a couple of layers of Mod Podge. Very clever! How about wrapping it with colored tape? 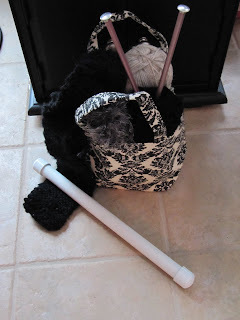 I took one of those cans that hold powdered ice tea tubs and wrapped it with scrapbook paper for my crochet hooks. Such a cute idea!! I love it! Like your friend, I've been teaching myself to knit. 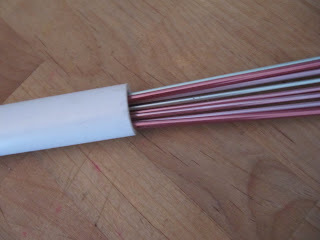 I love this idea for my straight needles. Do you have any ideas for storing circular needles? Years ago, when I was in nursing training, catheters came in sealed (sterile) plastic tubes - perfect for knitting needles. We all had a few!!! This was the olden days LOL, and now they come in sealed paper, not so great! Thanks for the tip - needed a new storage plan. OMGosh, what a clever idea. Guess who is going to the hardware (or Home Depot) for some PVC pipe? My needles are poking through the plastic bags in my craft closet! Great PVC project. Thinking of what else would you use these for in the bigger diameter? Since I don't knit...ideas? I will have to think of something. I laughed @ Robin's comment about the fishing lure holder being taken for a potential pipe bomb. Labeling is good. Finishing...sand lightly with super fine sandpaper to get the writing off, & rough up the surface slightly. Could paint with Krylon, now makes a spray can formula for plastics called FUSION. This is a great idea! I saw Hello Kitty duct tape at Target - wouldn't it be fun to cover these tubes with some fun colors? I absolutly love this idea. I have been looking for a good case for all my knitting needles, and this is the best and cheapest one I have seen. I am definetly going to post it on my blog. Thanks so much for the idea. I will be sure to put your link on the post. How did I miss this tip? And the comments! There are some sharp cookies reading these tips! Thanks for the inspiration!